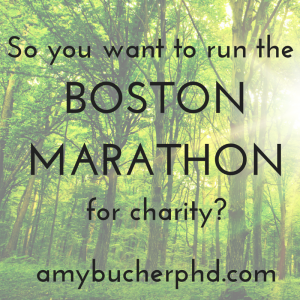 marathon | Amy Bucher, Ph.D. I keep seeing articles about training for a marathon with a lower volume of running. I even bought a book about it myself, Runners’ World Run Less Run Faster. Probably the most famous example of a reduced mileage training plan is the Hanson method, which does make conceptual sense to me. The idea is that you run almost every day, without as many of the traditional rest days, to get used to the experience of running on tired legs. 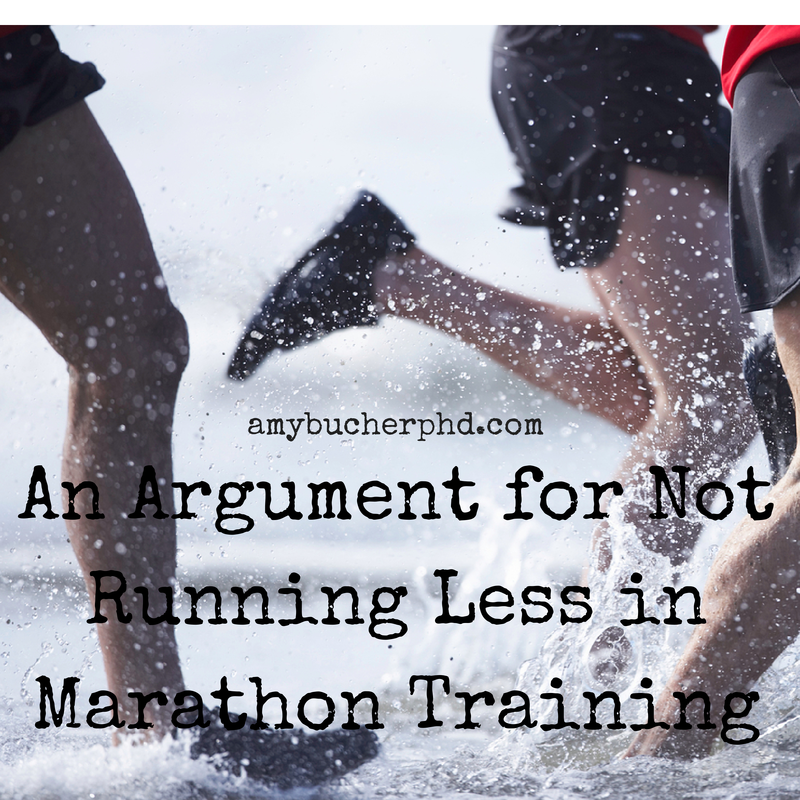 No run is over 16 miles in duration, unlike typical plans that include at least one and sometimes more 20 mile runs. 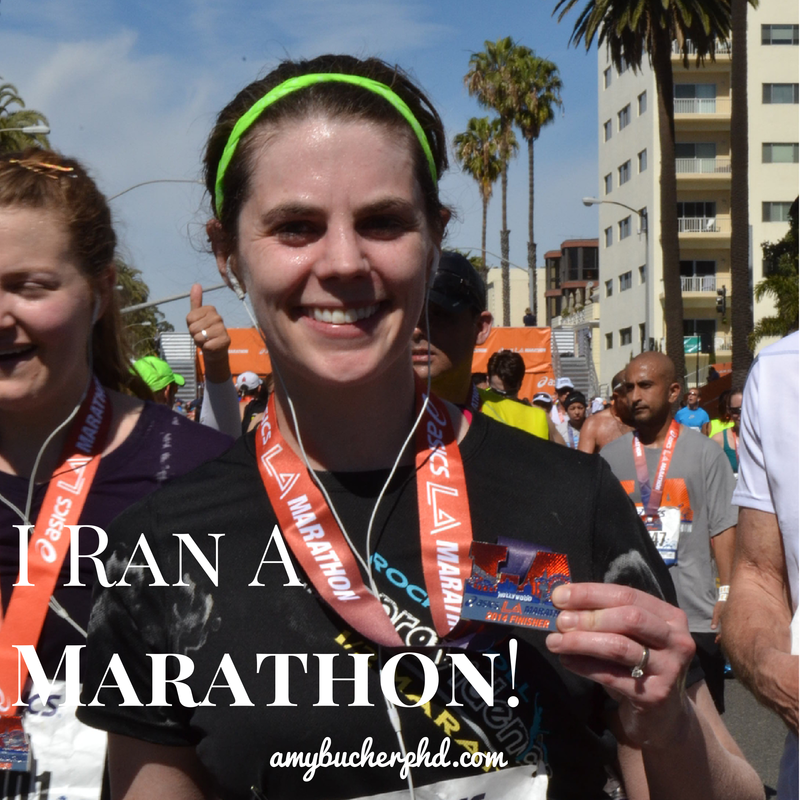 You will have fresh legs the day of the marathon, but when fatigue eventually kicks in, you will know how to deal with it and keep moving. 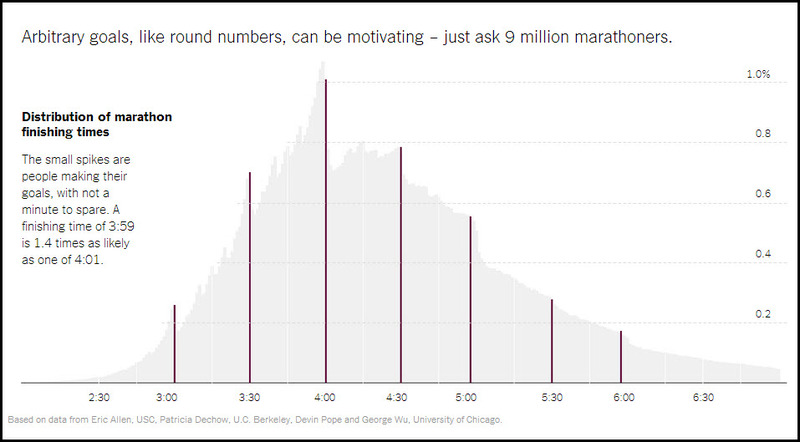 After the Boston Marathon on Monday, the New York Times has a thought provoking analysis of marathon finish times. Theoretically, marathon finish times should be relatively evenly distributed around a mean. In particular, there’s no real reason why, say, a 3:29 finish should be more common than a 3:31. But it is. 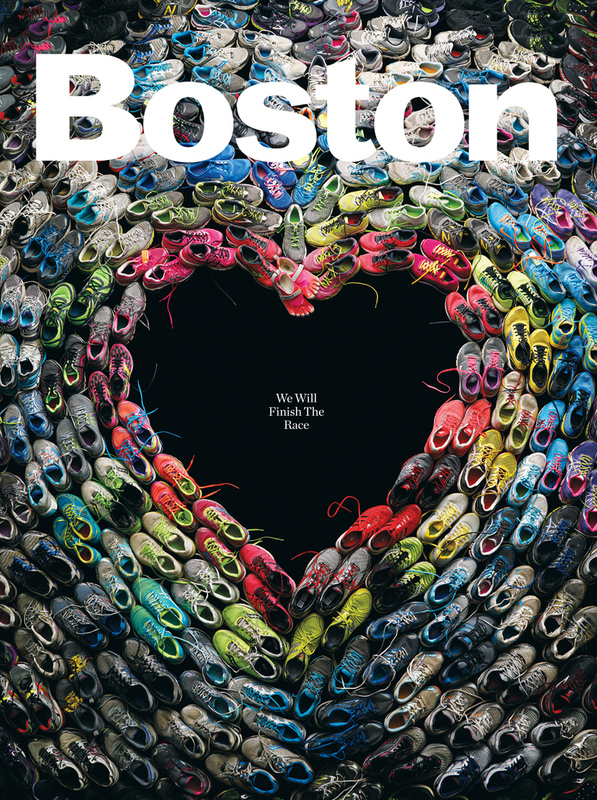 The May 2013 Boston Magazine cover depicting shoes of the marathon runners was sold as a poster to raise funds for the One Fund (http://www.onefundboston.org/). 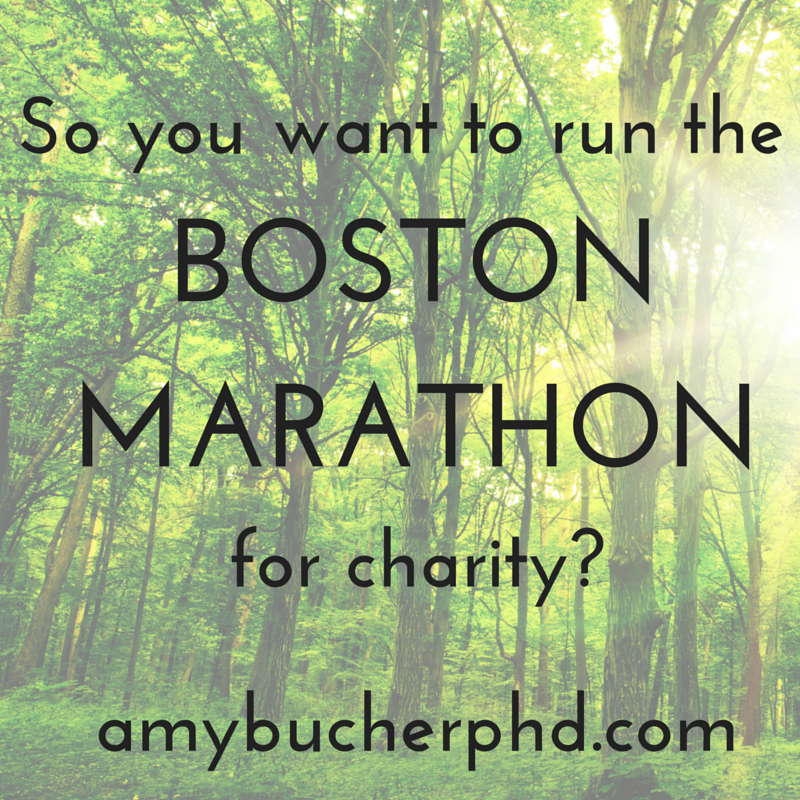 With the anniversary of the Boston Marathon bombings past, and the Marathon itself upcoming, I thought it might be nice to post a link to a recent story that I found hopeful and forward-looking. The Boston Globe recently featured the Richard family, who lost their son and brother Martin. Their story reflects great loss but also great hope, and their resilience is inspiring. I’m excited for Monday’s marathon. I’ll be volunteering Sunday at the race expo, and cheering on the runners Monday at my usual spot near the finish line. When the race ends successfully and peacefully, the people of Boston will have achieved an important milestone.